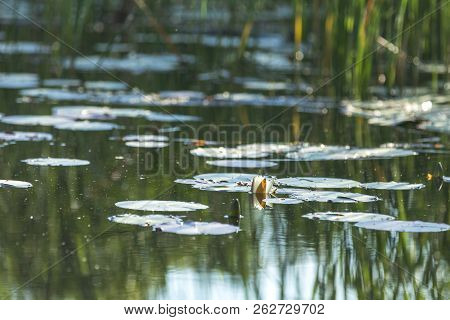 White water lily in a pond. Nymphaea alba. Beautiful white water lily and tropical climates. 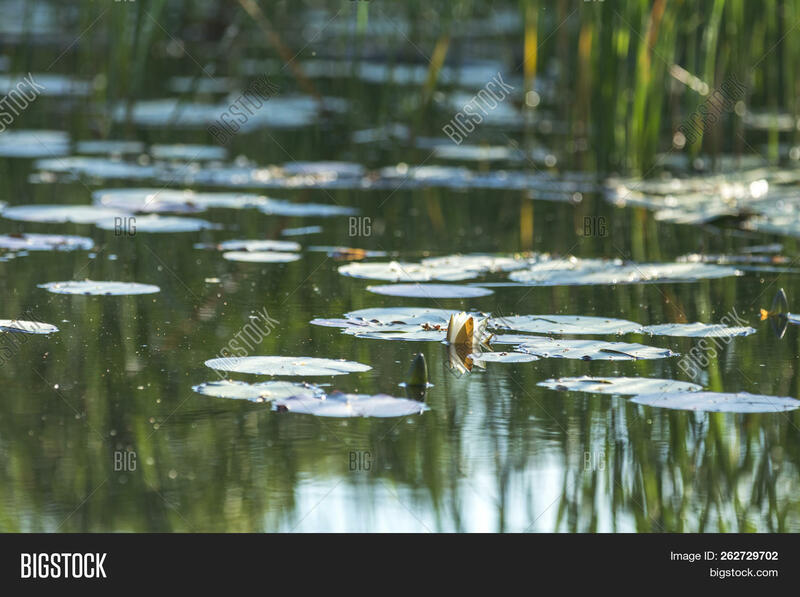 Water lily background. A living embodiment of the fantasy of nature.